and some, like the beginning of the peninsula, are being built up at a crazy speed – HUGE McMansions and promises of 18 hole golf courses (see Panther Golf Club & Estates) and casinos. 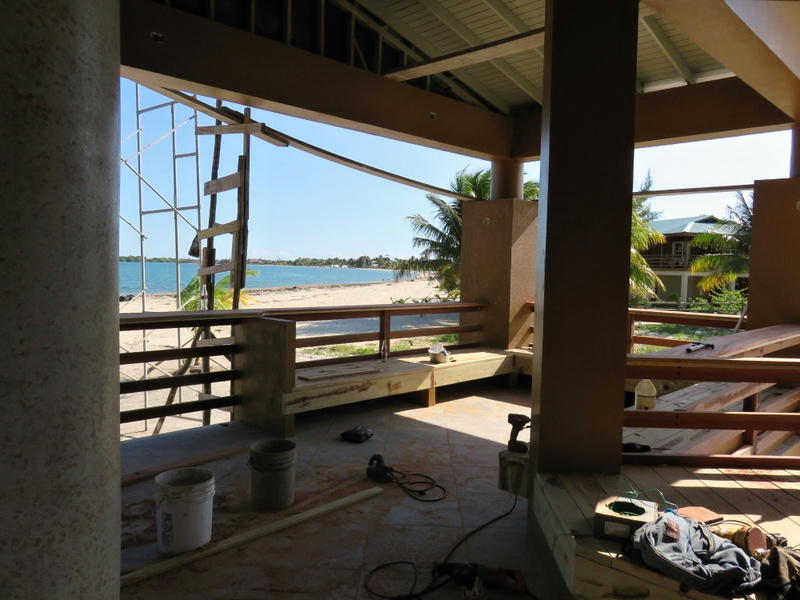 As “the season” gears up…some changes are taking place in Placencia…some openings, some closings, some renovations…you know how it goes. Just as we reached Maya Beach, we were waved over for a passing house. With a man riding on top. And just a part of the extensive wine collection. 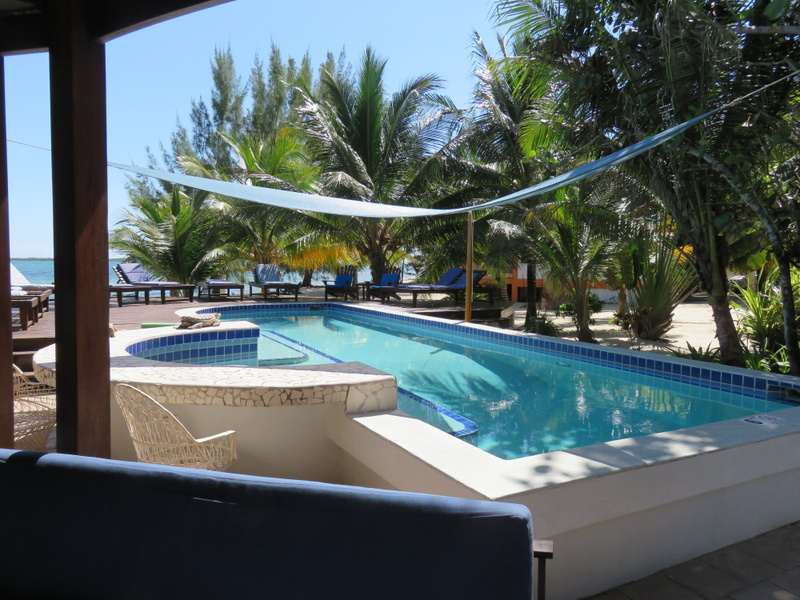 The pool by the front entrance…great place to lounge before or after lunch. I tried to order something…light for a pre-course to my DESSERT! 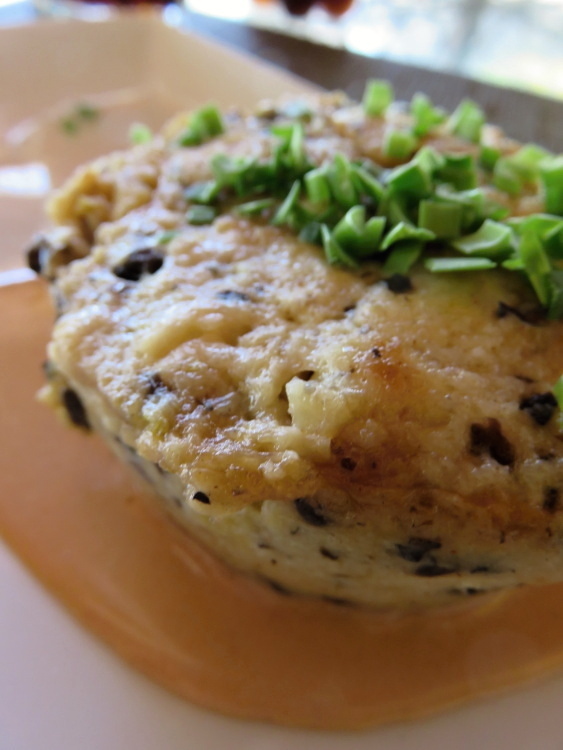 The amazing Lobster Bread Pudding with Brandy Vanilla Bisque. It is so tender and packed with lobster and just delicious. If you want to get your mouth watering, check out their entire menu. 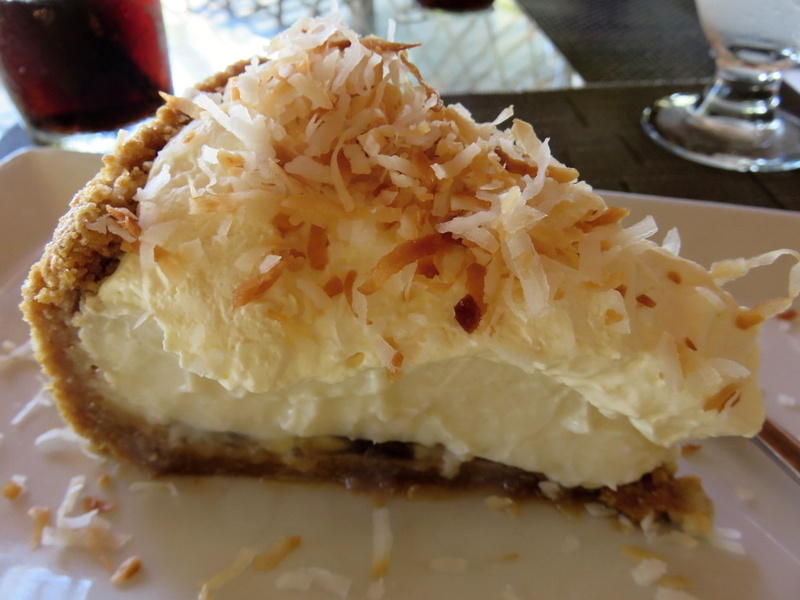 And then the very best dessert in Belize (here is my COMPREHENSIVE list of the top contenders) – the banana coconut cream pie. The ratio of crust to pudding to cold whipped cream is just heaven on a plate. A plate that I must scrap clean. 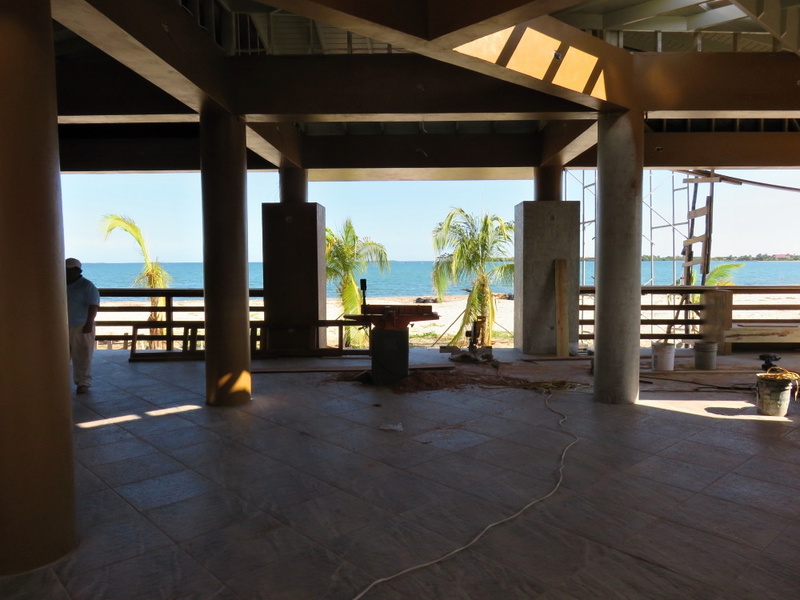 And our view on the dining patio. 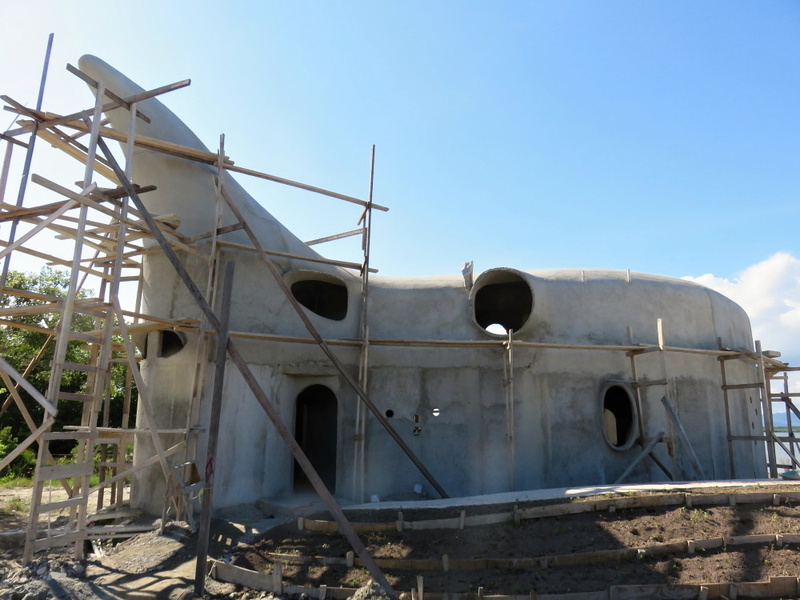 After lunch we headed a bit further south to an interesting development – one that has caught my eyes a few time. 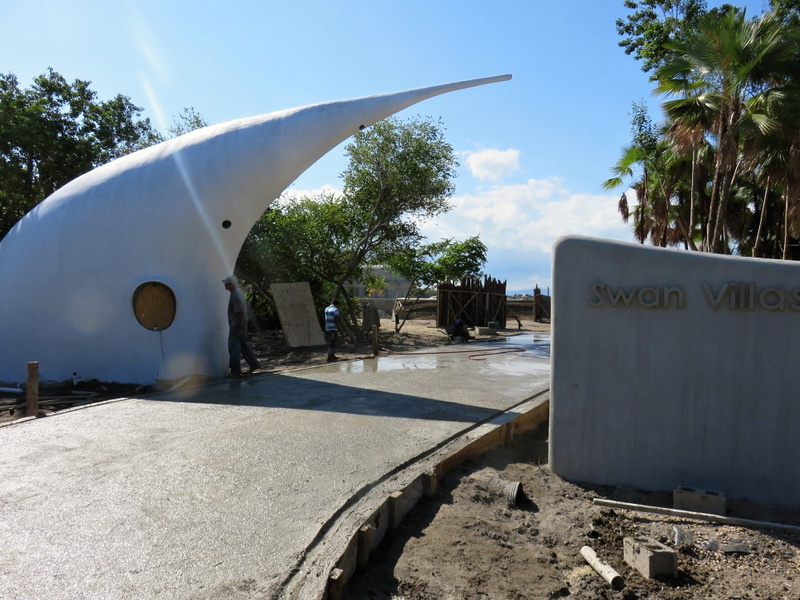 Swan Villas. I’m not exactly sure what the aesthetic…but here it is. 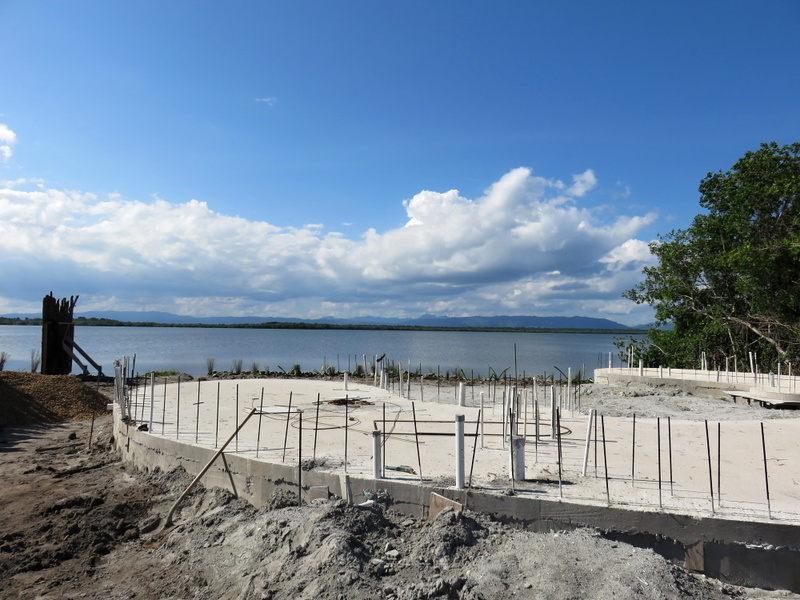 The villas are being built on the lagoon…and have a gorgeous view of the mountains. Gorgeous. 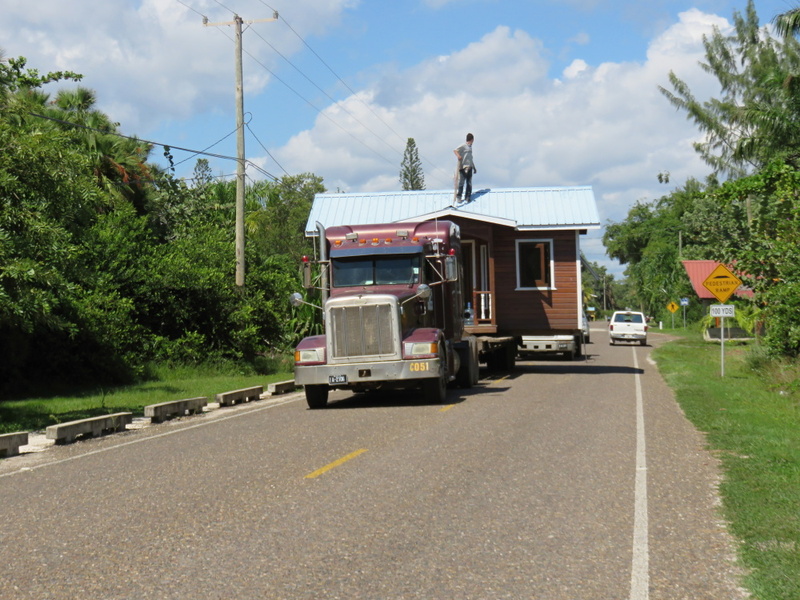 We continued south to the village of Placencia or just north of it…before the water tower. 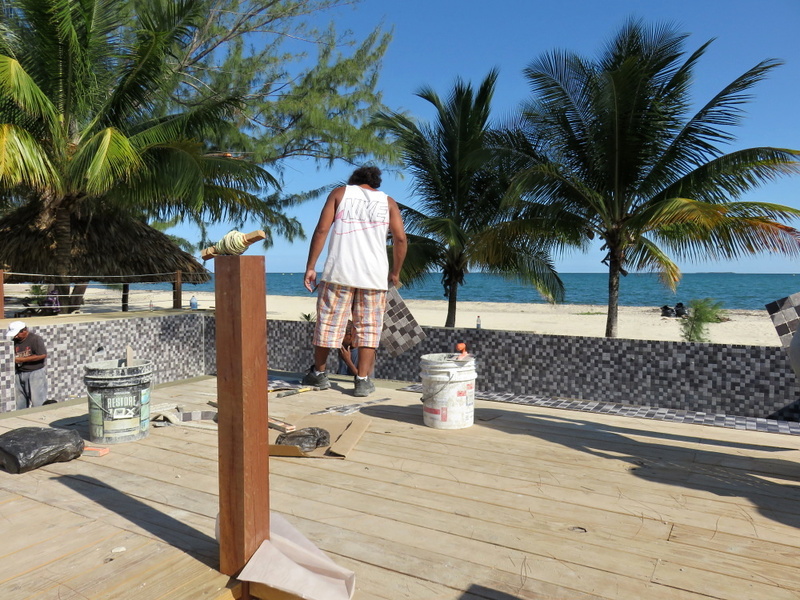 A LARGE restaurant/beach club is going up right on the beach – on that you do not see from the road. 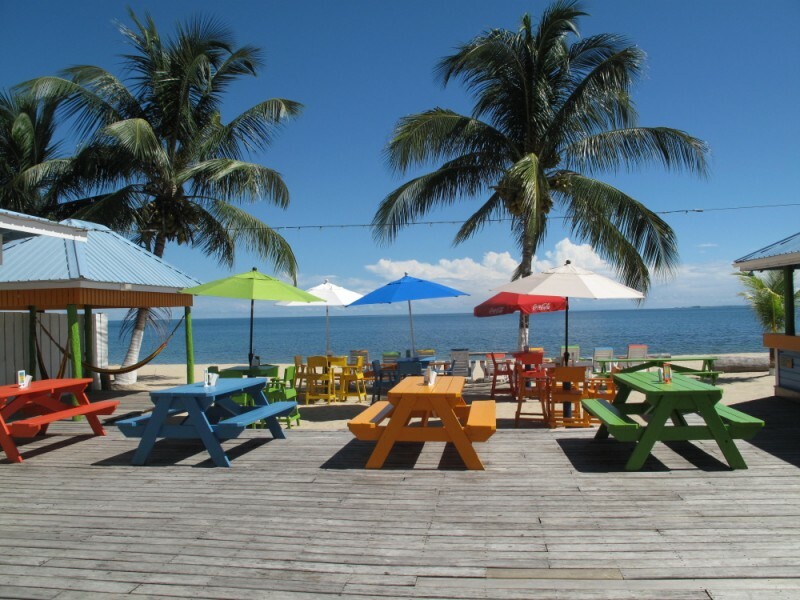 “Fusion Beach” is the name – and it’s owned by a Belgian who will be doing international food. 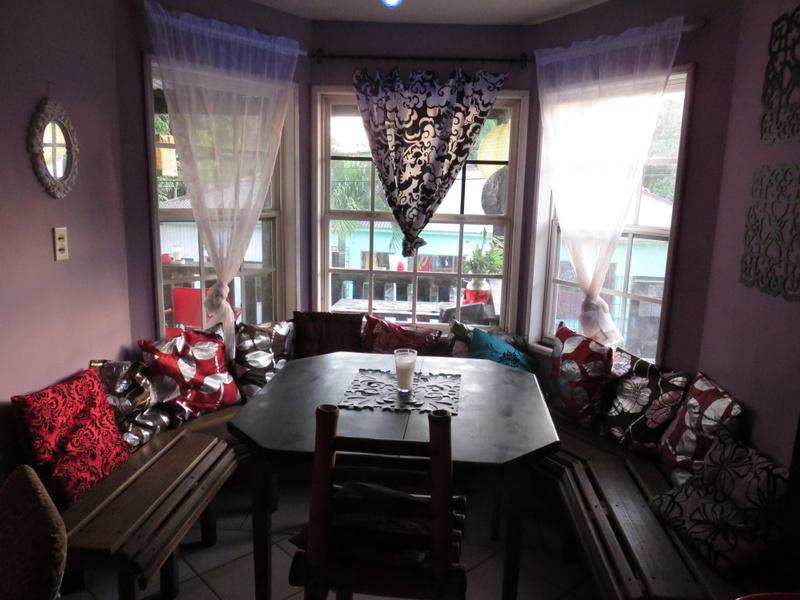 Next into the village and to meet a SUPER cute couple that recently bought and renovated a super cute spot. 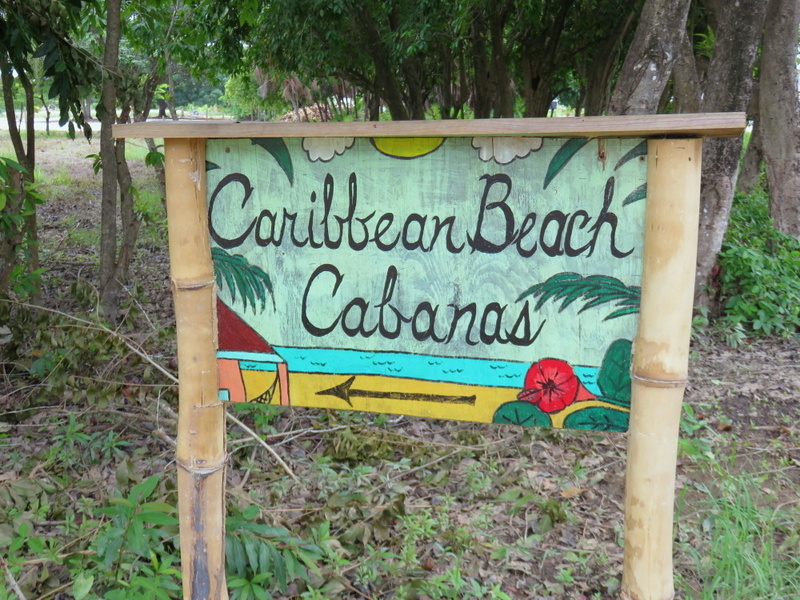 Caribbean Beach Cabanas. You’ll see this sign from the road. 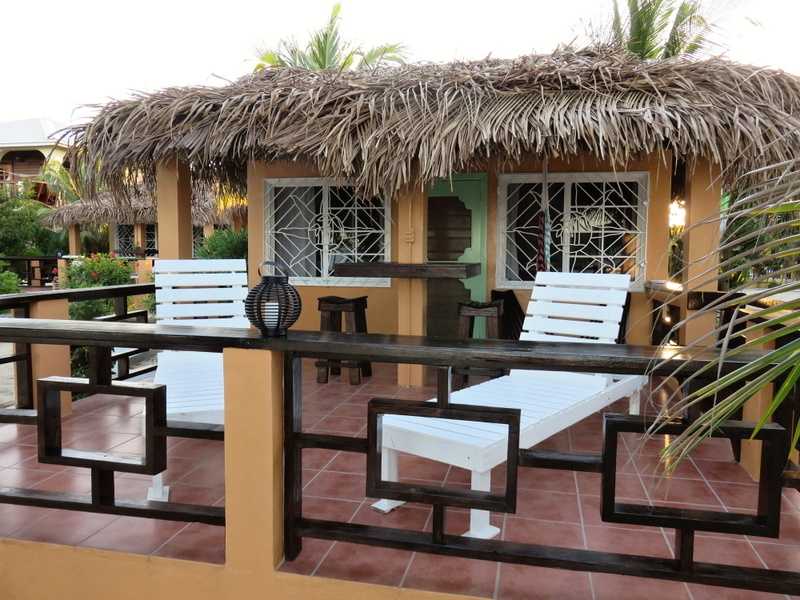 ANd the small cabanas are absolutely gorgeous. I can’t wait to stay here! 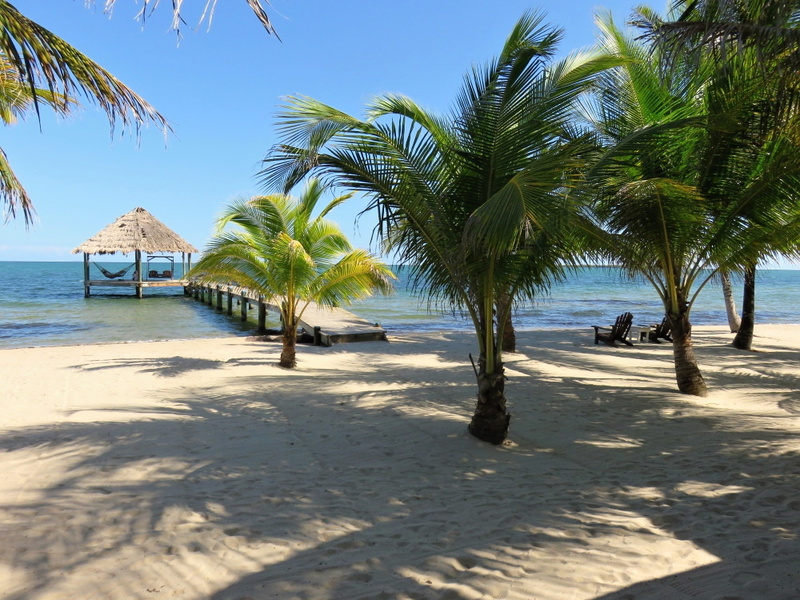 The beach is HUGE here…so wide and pretty. 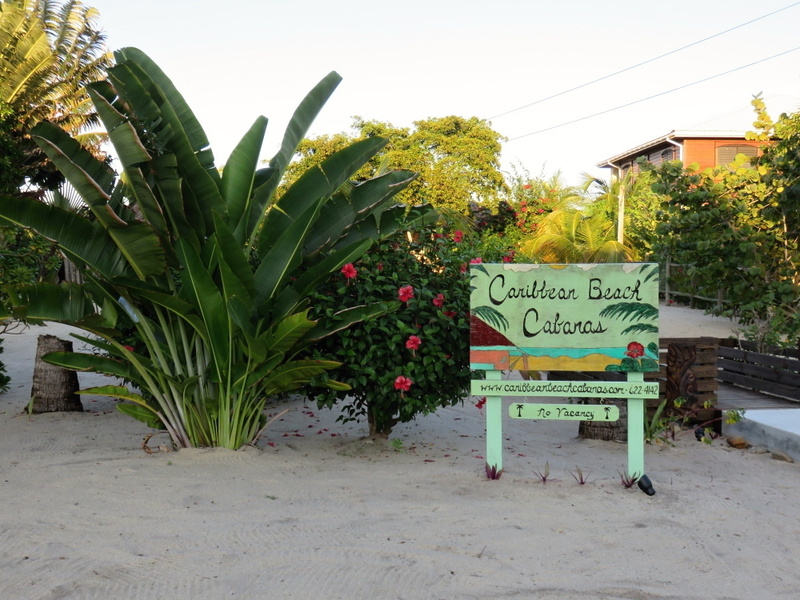 Check out owner Laura’s fantastic blog about moving to and life in Placencia. 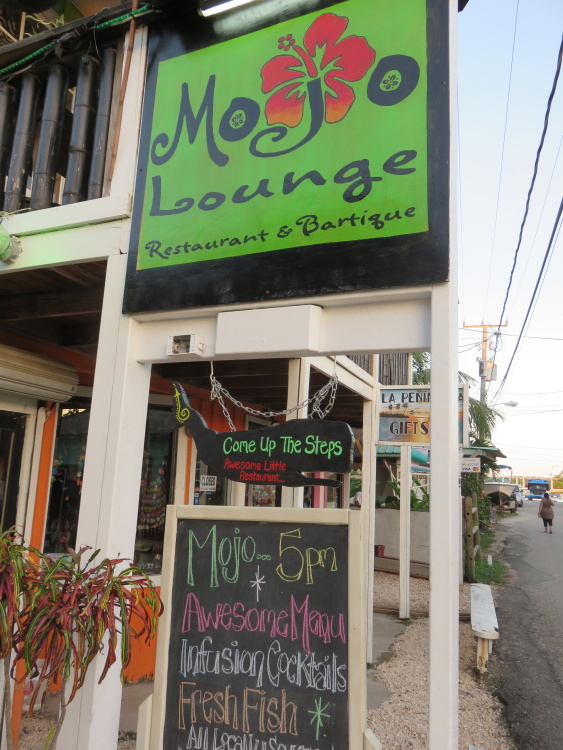 Last stop was one of my favorite restaurant in Placencia – Mojo Lounge. 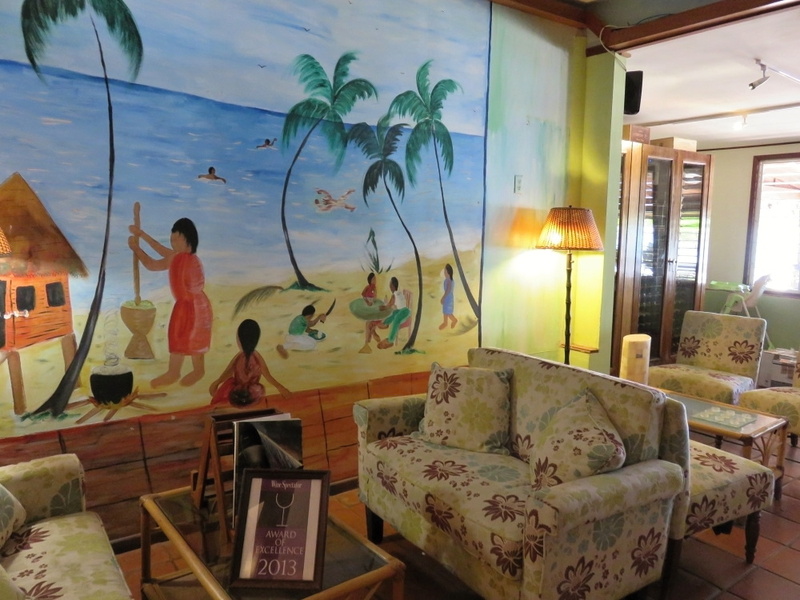 Cool atmosphere, lovely staff and some really creative cocktails. Plus, it’s beautiful and cozy. So there you have it. 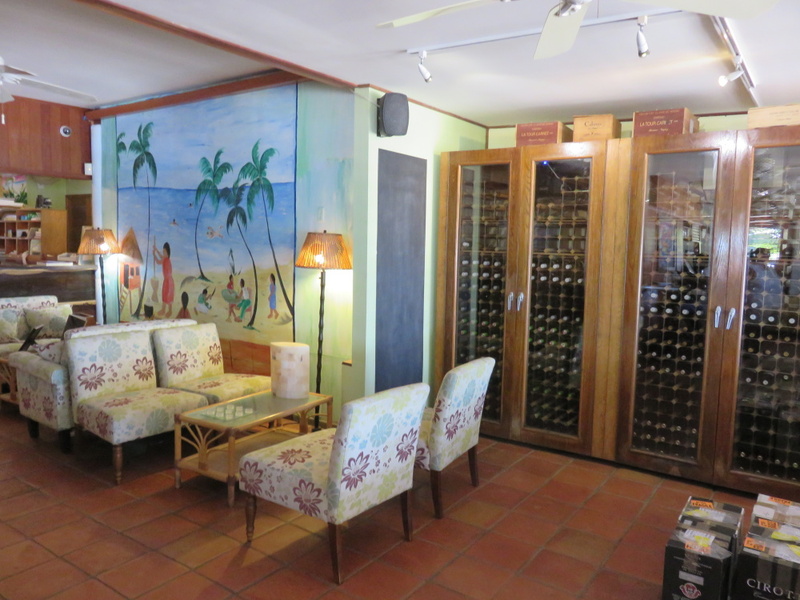 A few new spots…some new development and some seriously great food on the Placencia Peninsula. Oh! And I stopped at Maya Beach AGAIN the following morning – just for 40 minutes between buses because…it is so worth it. 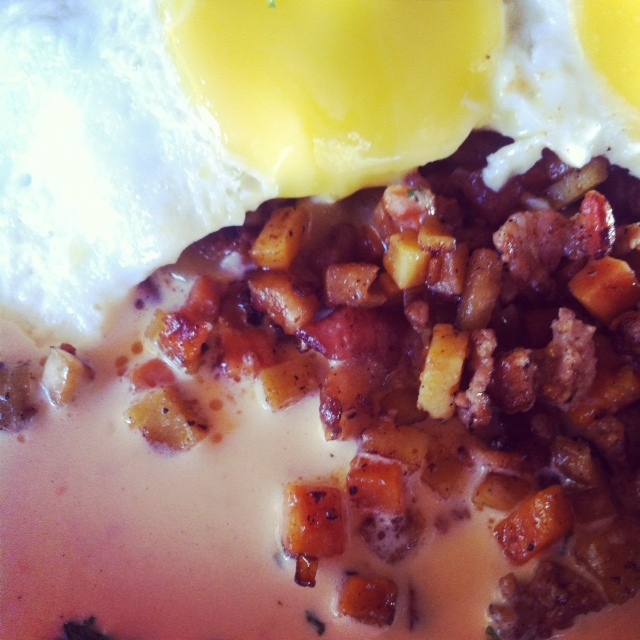 For the gorgeous duck sausage hash with eggs and orange hollaindaise…. 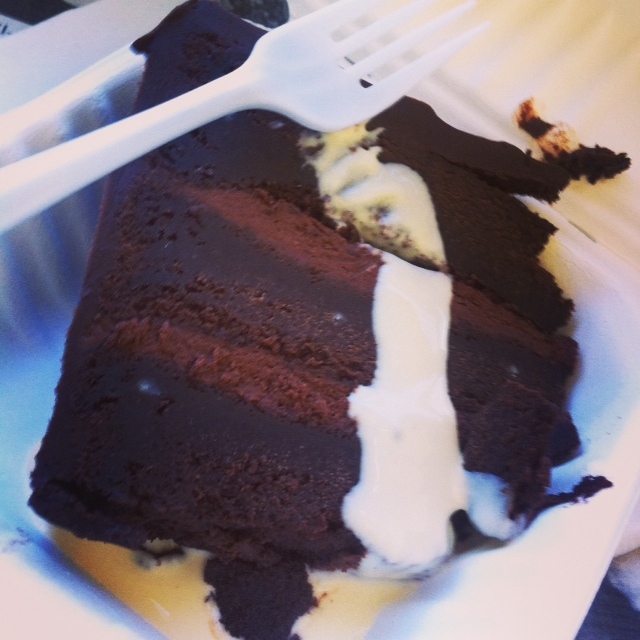 And a slice of DECADENT chocolate cake…for the road. 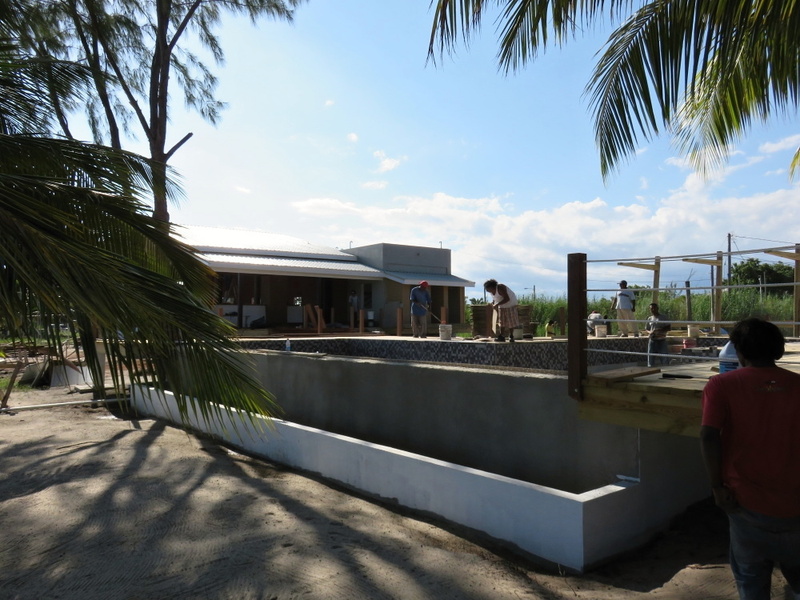 There are a few new developments on the peninsula over the last few months –> One is the expansion of the Tipsy Tuna Bar & Restaurant that I wrote about yesterday. 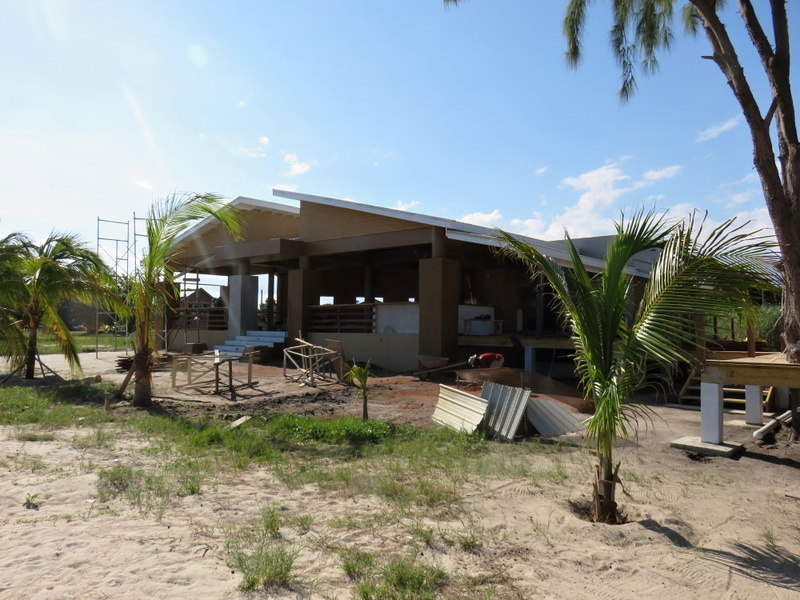 And then the new Indian Restaurant Beach Club in Seine Bight is something you will notice immediately as you drive down the road. A very cool place to check out. oh shucks…thanks for the reminder. I need those! Scattered!?!?!! Yum yum yum! 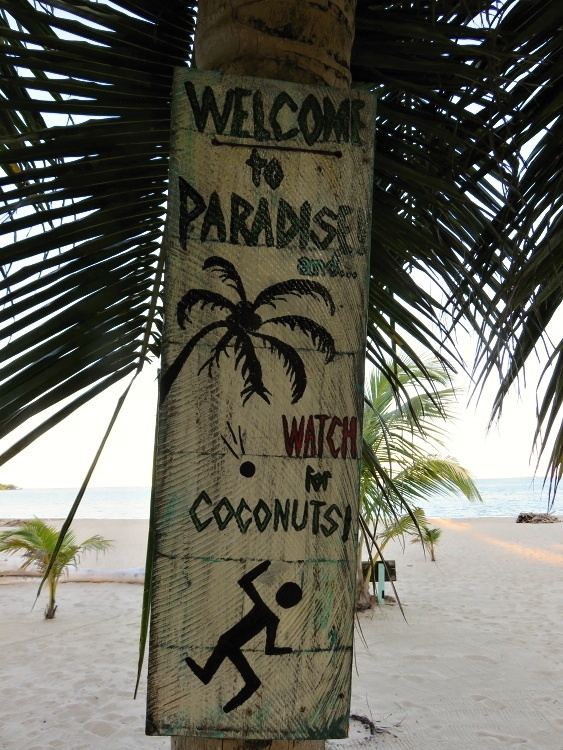 Not much not to like about Placencia and a lot to love. Rebecca you have a place to stay for sure when you come next time! 🙂 so nice meeting you and thanks for the mention!